"I came to America because of the great, great freedom which I heard existed in this country. I made a mistake in selecting America as a land of freedom, a mistake I cannot repair in the balance of my life." 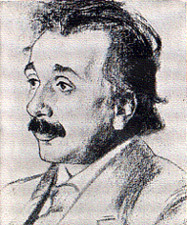 The Einstein File a book (available for purchase only) describing the FBI campaign against Einstein. Excerpts from FBI file on Einstein.